Two work in progress shows in preparation for a Radio 4 broadcast and an Edinburgh Preview. 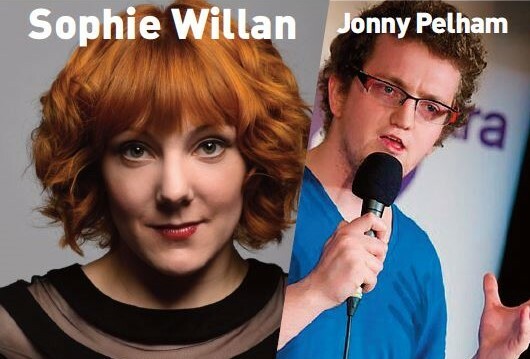 Sharp, eccentric and provocative, Sophie Willan (Nominated Best Show at the Edinburgh Festival 2017) has fast become one of the most exciting rising stars in British Comedy. This is a work in progress show for Sophie’s hugely acclaimed BBC Radio 4 series, Sophie Willan’s Guide To Normality, which is back for a second series in July. Award winning Jonny Pelham is road testing material for his new Edinburgh show.